Technological tools can routinely prune obsolete web site content. As a website grows, it tends to accumulate outdated content that detracts from the site’s effectiveness. 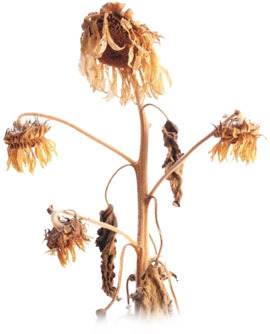 Like wilted sunflowers, outdated content can detract from the attractiveness and usefulness of your web site. Content management software allows a project to set content expiration dates and implement processes for archiving outdated content. Launching a new website is like cultivating a new garden. With the framework of the site, you’ve planted the seeds. The effort you spend to develop content is akin to watering your garden. As content is added to the site, the seeds sprout and leaves begin to form. Eventually, your site blooms with a variety of interesting content that draws visitors. You continue to add new pages and sections, but unless you archive outdated content, you’ll end up with a garden full of weeds that obscures the beauty of the flowers. Without staff dedicated to the task, it’s difficult to keep track of the life cycle of web content. Just as dried flower arrangements are beautiful, some web pages are suitable for an archival section of a site. Sometimes, though, old blooms and old web content simply need to be thrown away. Content management software can help weed the wilted sunflowers from your proverbial garden by allowing project managers or other staff to set expiration dates for certain pages, and by setting up a process whereby certain pages can be automatically moved to an archive that’s still accessible to visitors.